Welcome to Real Divers a British Family owned PADI 5 Star IDC Center in Jomtien, Pattaya which offers PADI courses from beginner divers to Professional Instructor levels. 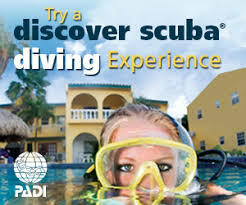 Pattaya has 12 tropical islands and over 30 plus dive sites to explore both shipwreck and coral dives. 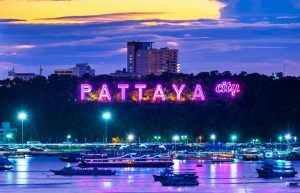 We are about a month away from the Thai New Year where in Pattaya the Biggest water fight in the World takes place between the dates of April 10th to April 19th. Truth is some people love it some people hate it and some people like it sometimes but not on other times, getting doused in ice cold water is fun at first. The problem with the dive trips is going to and fro from the dive centers to Bali Hai pier and back which over the New Year is packed with tourists and traffic jams. We run our trips from Jomtien beach 50 metres from the dive center which makes life so much easier over this festive period. Real Divers will be closed on the 19th April which is the Big day of the water fight and seriously no dive center will be diving that day, if you are here you will see all the reasons why. We will be running coral and wreck diving over this period so if you are in town and want to go diving the easier way, give us an phone call 038-232-476 or email us. Have fun getting wet over the Thai New year. 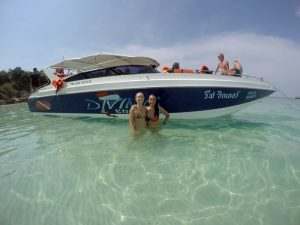 We run daily trips to the Pattaya Islands for our local divers and holiday divers from our 12 metre twin engine Speedboats and we also run dive trips from our traditional Thai boat to the Samae San islands both locations have good wreck and coral sites. Pattaya has a good selection of coral dive sites for certified divers and students such as Koh Rin, North Rock/South Rock, Koh Man Wichai and Koh klung badan. Koh Rin has 2 pinnacles either side of her as well as the main island to dive. Koh Man Wichai has a wall and the famous "fingers" the reef known for looking like the shape of a giant hand. Pattaya is also a great place to wreck dive or take a PADI course as we have 5 great shipwrecks like the HTMS Khram and HTMS Kood which rest at 30 metres as well as the WWII Hardeep wreck at the Samae san Islands. On the coral dives you will see tropical fish life such as Angelfish, Butterfly fish, schooling Fusiliers and Long Toms plus we have different types of stingrays and puffer fish to see on the dives. On the shipwrecks we have schooling barracuda, small sharks, morays and bat fish. Pattaya is renowned for large Hawk bill turtles and on the Pattaya Near Islands you see them on every dive. 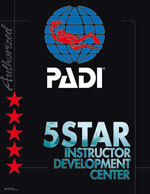 Real Divers is a PADI 5 STAR IDC center which means we can teach PADI courses from beginner levels to Dive Master/Dive Instructor ratings and higher. We also have high professional standards and experienced PADI Dive Instructors with over 20 years of experience teaching and diving in Pattaya and Samae san. 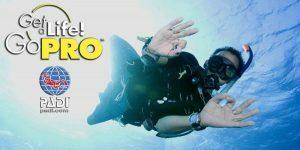 "Real Divers have a 100% safety record because of this"
We offer a full range of PADI dive courses from the PADI Open water course to professional levels as well as scuba equipment sales, Scubapro and Suunto with some great deals on dive computers and courses. 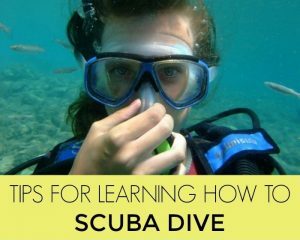 We also have some fun PADI specialty courses such as Dive propulsion vehicles, Side mounts, Enriched air and wreck diving. 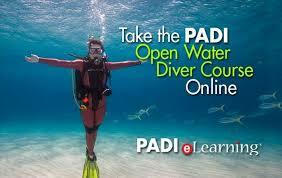 Real Divers is Pattaya's only family-run British PADI 5 Star IDC dive centre. 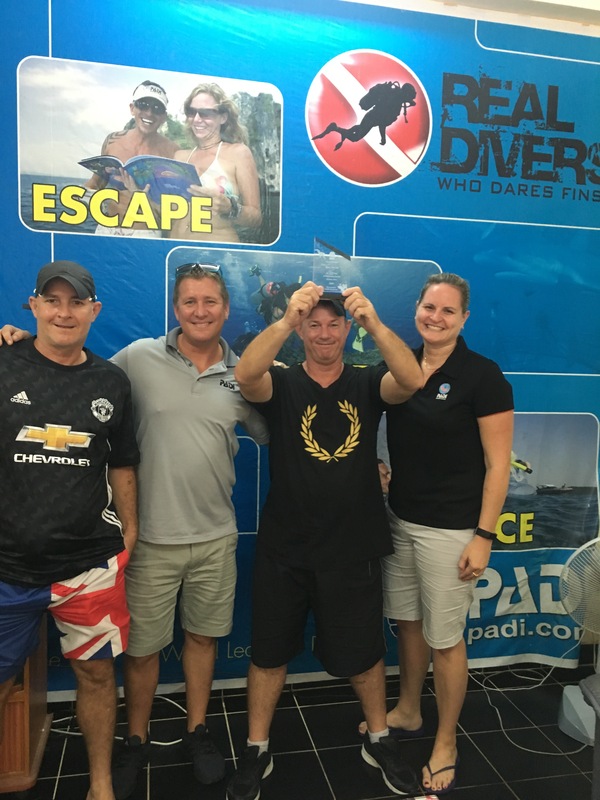 Dave Chandler (now retired) started it all over 20 years ago when he came to Pattaya on holiday and decided to learn to dive. He enjoyed it so much that he sold his publishing company, retired early and emigrated to Thailand and trained to become a PADI Dive Instructor. Later sons Neil and Peter followed him out from England and he trained them to become PADI instructors. After working for some of the largest dive centers in South East Asia learning the do's and don'ts of how to run a dive center they opened Real Divers in 2005 which is now a PADI 5 STAR Instructor Development center. 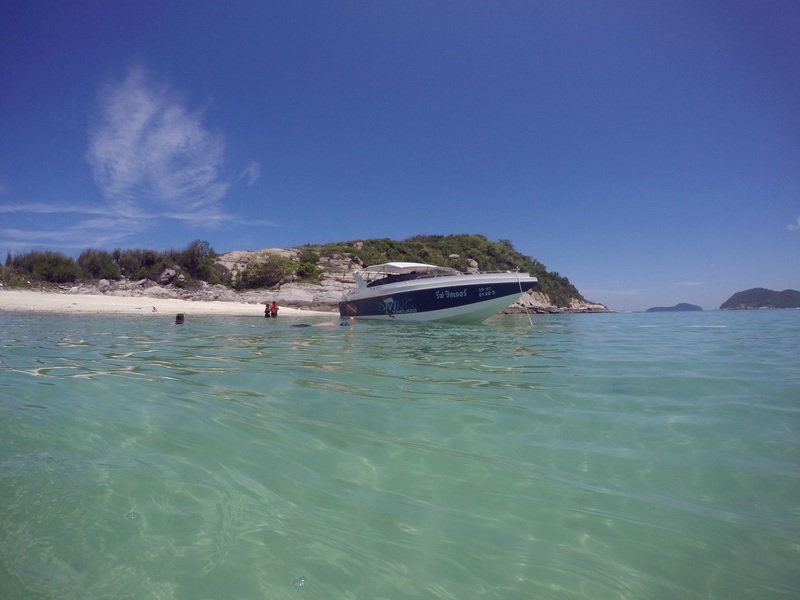 What makes Real Divers different to the other dive centers is we run our trips on our 12 metre speedboats so no more 8am starts as we start our trips at 10am. As we have less travel time we have more time to get the best out of diving and snorkeling activities and are back about 2pmish, no more late 5-6pm finishes. We also don't leave to the Pattaya islands from the busy "Bali Hai pier" the pier is packed full of tourists and takes so long to get on and off the boats and pier. 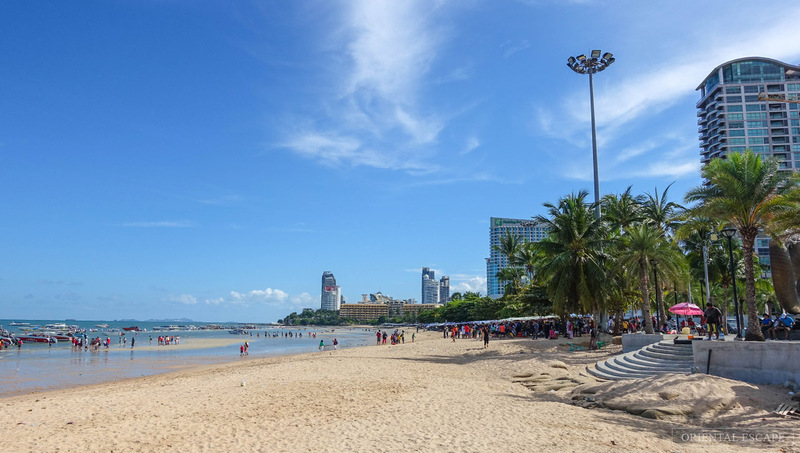 We have a hotel pick up/return service and start our trips straight from the Jomtien beach 50 metres from the dive center making things so much easier for everyone. If you're looking for somewhere with guaranteed hot sun, cool breezes, tropical gardens, scores of things to do and friendly locals waiting to welcome you then look no further. Thailand is known as the "Land of Smiles" and the number of tourists coming here increases every year. But it's a big country and there's still room for more. One of the favourite destinations is Pattaya which has some super hotels, restaurants, nightlife and every activity you can do on land, sea or air. Pattaya was a a quiet fishing village as recently as the 1960’s, it’s now lined with brand named hotel resorts, high-rise condos, large seaside shopping malls, night clubs, a red light district, zoos, beaches, great restaurants, every type of adrenaline sport from bungee jumping, go-carts, jet ski’s, water parks, banana boating, parasailing, sky diving plus”scuba diving” These are just a few reasons why Pattaya is so popular and has World wide Tourism. Pattaya is on Thailand’s eastern Gulf coast which is known for it’s wild nightlife scene and great daytime activities that attract international holiday makers, weekenders from Bangkok and expats, Hello to you all we Welcome you to Real Divers.